Galaxy Nexus Now in Product Database, CPU Details Revealed — UK Availability on the 17th? 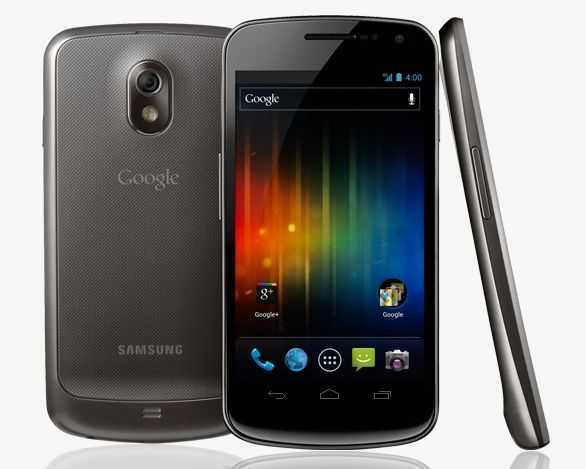 The Samsung Galaxy Nexus was announced last month by Google and Samsung as the first phone to run the latest version of Android, 4.0 AKA Ice Cream Sandwich. While we knew of the large (4.65″) high resolution (1280×720) Super AMOLED display, the 5MP camera, NFC, Bluetooth 3.0, and most of the other details, Samsung stayed oddly quite about any information regarding the CPU and GPU, giving us nothing more than “1.2GHz dual-core CPU”. Thanks to the Japanese carrier NTT DoCoMo, the beans have been spilled on the Galaxy Nexus’ CPU. The 1.2GHz dual-core CPU is indeed the Texas Instruments OMAP 4460 platform which also includes the PowerVR SGX540 GPU. TI claims that the PowerVR SGX540 has up to 2x better performance than the previous SGX530 GPU. OMAP 4460 also has support for 1080p encoding (capture) and decoding (playback) at 30 FPS. Samsung’s last Nexus phone, the Nexus S [review], didn’t even record 720p video. This time around, Samsung is taking full advantage of the platform’s capabilities. You can see full official specifications at the Samsung Galaxy Nexus tracking page in our mobile device database. Samsung UK has confirmed Galaxy Nexus availability for November 17th, but it seems that retailers aren’t so sure about that. Amazon UK has moved the shipping date for the Galaxy Nexus from the 17th of November back to December 2nd. Amazon UK currently lists the 16GB Samsung Galaxy Nexus unlocked for £519.99, which converts to a pricey $837 USD. Most phones in the US aren’t bought off-contract, so when it comes to typical US pricing, Android Central has shown what appears to be a leaked Costco inventory screen which prices the Samsung Galaxy Nexus at $289. The phone is expected to be available across both AT&T and Verizon in HSPA+ and LTE flavors, respectively. Uncategorized Comments Off on Galaxy Nexus Now in Product Database, CPU Details Revealed — UK Availability on the 17th?